The survey polled 2,500 businesses on their customer feedback strategies and discovered that 88% of companies believe that customer feedback is important, but only 50% of businesses actually have a strategy in place for collecting the thoughts of their customers. Only 43% of North American businesses are actively collecting customer feedback, according to the report. Email is by far the most popular way of soliciting customer feedback, but SurveyMe’s study outlines several key issues with how marketers are using the email channel to collect feedback. First and foremost, the average email response rate hovers between 1% to 2% and below national averages. MailChimp’s latest industry benchmark report on email engagement estimates that open rates range from 13% to 27% by industry and open rates to range from 2% to 5% by industry. In addition to paltry metrics, customer feedback is also not being collected in real-time. 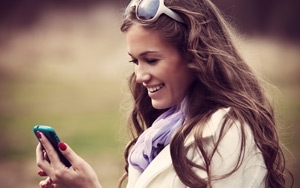 Evans says mobile-driven geotargeting is the key to boosting customer engagement. Since it’s closer to their actual location, it is more relevant, he says. Evans also recommends that marketers consider rewarding customers who participate in a survey. Feedback response rates increased by up to 350 percent when a reward incentive was offered, according to the report. “At the end of the day it always comes down to three things: more customers, more customers coming back, and more customers spending more,” says Evans.